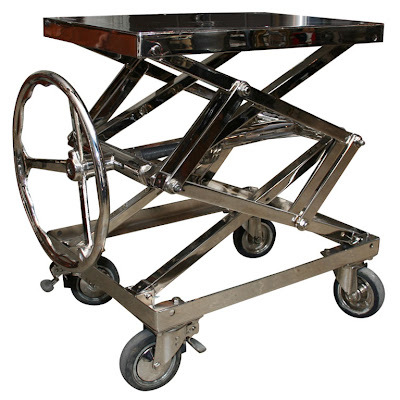 Dead animal bits + wildly expensive bags + industrial steel and chrome = an HHH paradise. Well, frankly it's my apartment. One stop into Mantiques Modern in Chelsea will let you fully outfit your house in this slightly eccentric, yet utterly tasteful naturalist's aesthetic. If you're more of a bargain shopper, you can cobble it together with ebay finds like I did. 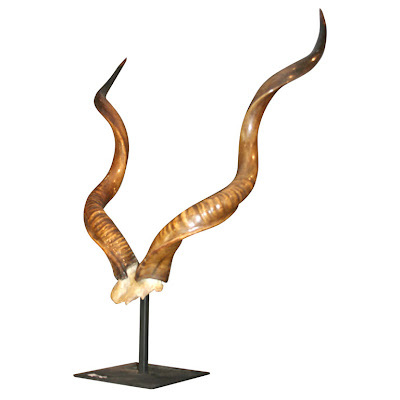 (Above: Rare 19th c. Mounted Kudu Horns, $2,800...click here for cheaper ebay alternatives). 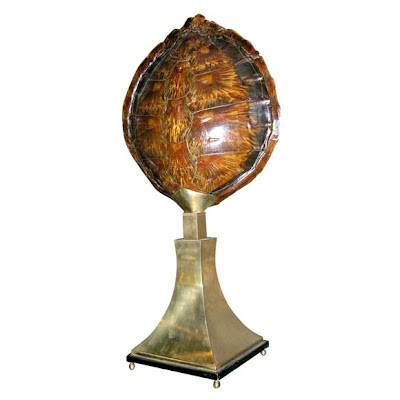 1940s Tortoise Shell Centerpiece (ebay selections here). 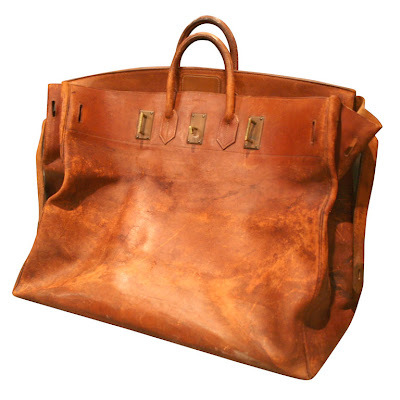 Giant 1940s Hermes Birkin Leather Travel Bag, $7,800 (I wouldn't trust ebay for the Birkin). 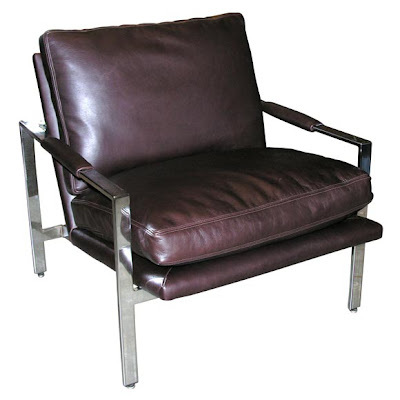 Pair of Milo Baughman chairs, just like the ones in my living room! Hey, my wife has found two Kelly's on ebay that Hermes have confirmed as real, so it's just a matter of being careful! She has 3 Hermes bags we bought in the Sydney boutique, and I think she loves the ebay purchases just as much! I agree with Ethan, while a sparkly new Birkin on ebay is clearly due to be immersed in suspicion, many vintage Birkins and HACs glow with such esteem and quality in their pictures that there's no doubting their authenticity, that one for example.